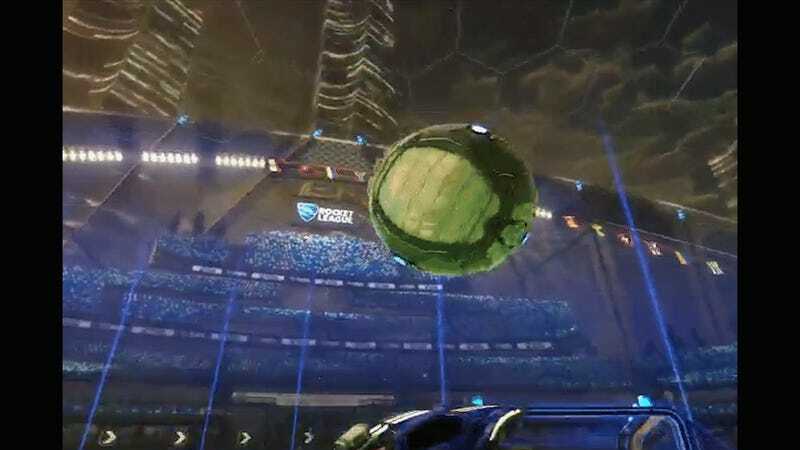 Though played with rocket-powered cars, Rocket League is still soccer at its core, and a shot right at the crossbar can still beat the goalie out for a huge goal. Alexandre “Mout” Moutarde, a sub for The Leftovers, played with two others in the Rocket Royale today under the guise Northern Tactics. The three got put against last season’s Rocket League Championship Series runner-up Mock-It Esports, which has replaced its roster since the end of season two. Between Moutarde and his teammates, former Mock-It players Kyle “Scrub Killa” Robertson and Philip “Paschy90" Paschmeyer, the three proceeded to put up some impressive goals against the former silver medalist banner. Northern Tactics would go on to defeat Mock-It 3-1 in the overall series, knocking them out of the tournament and advancing to the European grand finals to play Northern Gaming. It was a tense match, but Northern Gaming emerged 4-2 victorious over Tactics, winning the European grand finals. The Royale is an exhibition tournament to showcase some high-level Rocket League, in anticipation of the Championship Series’ third season starting this year. With a performance like today’s, Moutarde may not find himself a sub for much longer. You can follow the rest of today’s matches for the North American squads on the Rocket League Twitch channel.